Welcome to Jong Young Flower Market! We’re delighted to have you visit our very own humble corner of the Internet, and we hope that we can add you to our list of satisfied customers in the very near future. 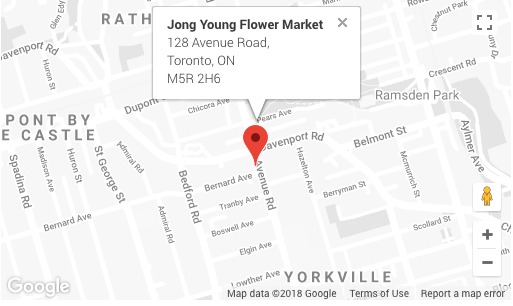 At Jong Young Flower Market we’ve been providing the GTA with the freshest floral arrangements for more than 65 years, and we have no plans to stop any time soon! 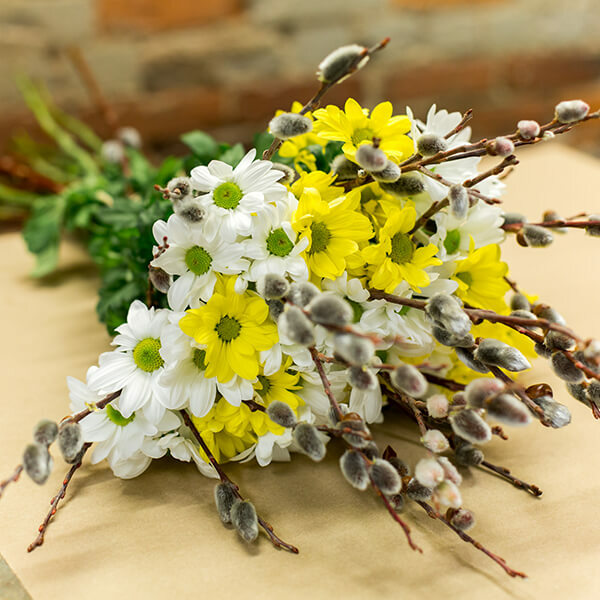 We’ve got a team of floral experts who pride themselves on meeting the needs of our customers every day. It’s always our aim to deliver the best possible products and services for a fair price. Please feel free to explore our site, check out our services, and shop at our brand new online store… And if you need assistance, we’re always here to help! 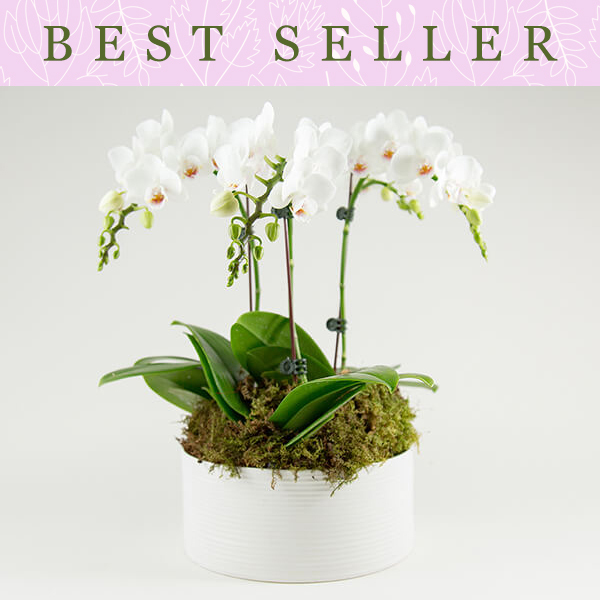 Shop Online with Jong Young Flower Market! 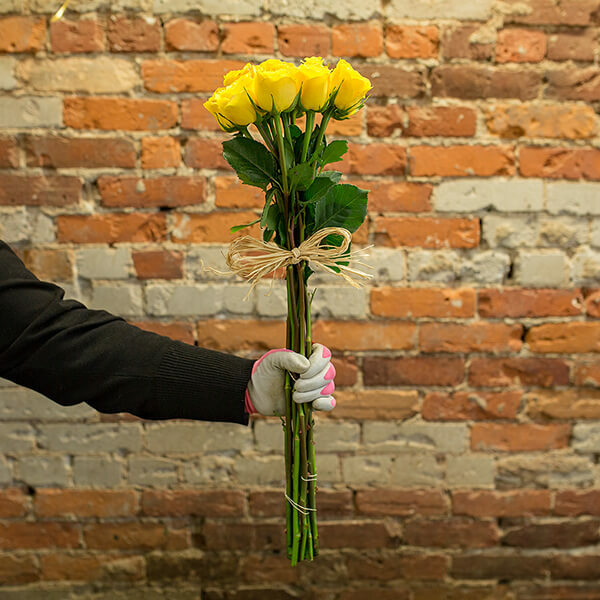 The Jong Young Flower Market team is always here to help, whatever your question! 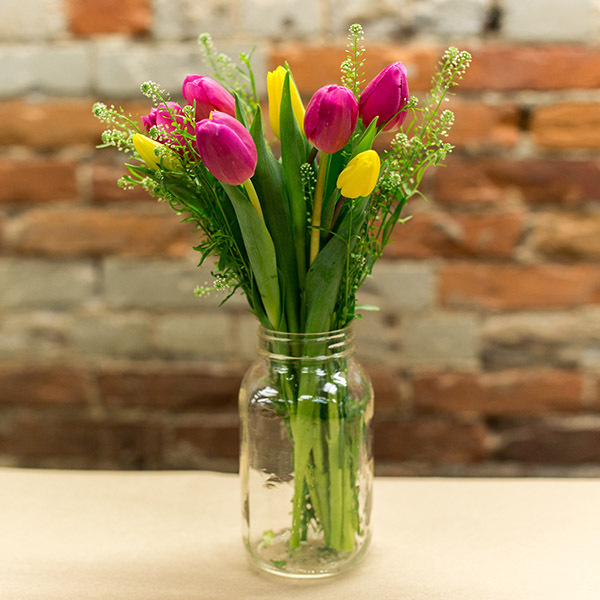 Drop by our store at 128 Avenue Road, Toronto, send us an email, or give us a call and let us know how we can help! Great customer service and the flowers at the shop is fresh and she arranged the flowers beautifully!!! I highly recommend this store for its outstanding selection, Jasmine for her professionalism, and her team for such high quality!